Delivering optimal wellness through innovative data management, education, and proactive exercise programming. Education. Data. Medical Fitness. For over 25 years we have been involved in the key areas of the health industry. Education – where we have been providing clinical wellness CEU programs. 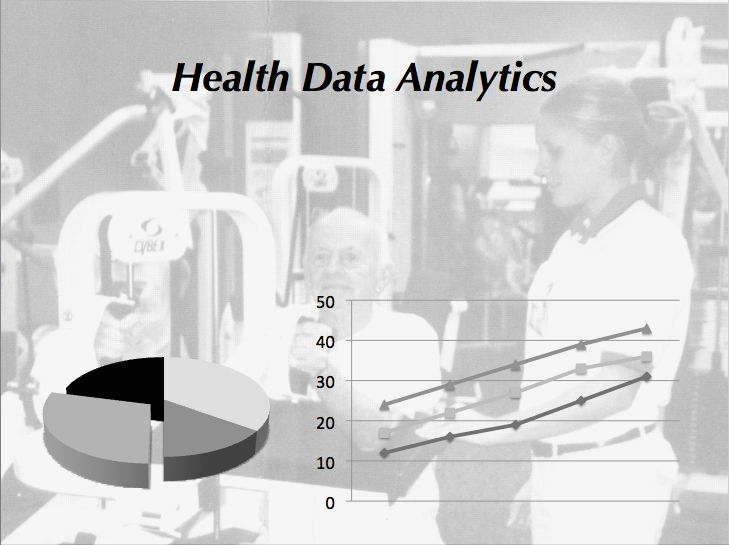 Data – because we feel that analyzing wellness programs is key for their integration in today’s healthcare. Medical Fitness – because it is the future of the entire wellness industry. MedHealthFit began in 1994 as a boutique education and consulting company. Over the past two decades, we have grown our business to include medical fitness, safety, prevention, and data analytics. We have been at the forefront of healthcare issues – and will continue to explore new innovations to improve health, and use population health management to communicate health benefits to healthcare. The Mission of MedHealthFit is to integrate wellness programming with data management to show the benefits between regular physical activity and improvement in overall health. We do this through our groundbreaking education programs, our research publications, our workshops, and our interaction with health and medical professionals. We are working with the fitness industry's leading companies to bring exercise to the forefront of healthcare and give fitness and healthcare professionals an opportunity to take the lead in all facets of wellness — from preventative care to injury recovery, quality of life, and longevity. Eric Durak was selected as a Diplomat to the Medical Wellness Association in 2014. In 2018, he was selected as an international faculty member. Since 2016, Eric has served on the board of the Medical Fitness Network, a group of dedicated health professionals who are changing the course of professional fitness training and coaching in the healthcare market. We are proud to partner with Fitness Learning Systems to distribute our continuing education programs to the health and fitness profession. We are proud members of the Arizona Clinical Oncology Society. Medical Health and Fitness is working with one of the world's leading precision wellness corporations - Cerulean Advanced Fitness and Wellness to provide clinical outcomes for their patient populations. Our data analytics partner is Smart Clubs - whose "smart pin" technology registers strength and cardiovascular numbers for the health club industry.